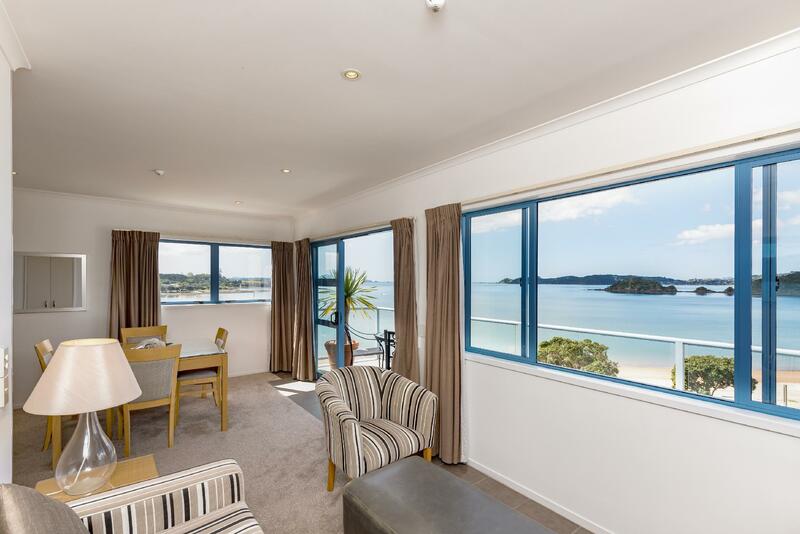 يشكل Blue Pacific Quality Apartments بموقعه الممتاز في Bay of Islands نقطة انطلاق جيدة لاستكشاف هذه المدينة النابضة بالحياة. يقع مركز المدينة على بعد 2 km فقط. ويمكن الوصول إلى المطار خلال 25 دقيقة. يوفر الفندق بفضل موقعة الجيد وصولاً سهلاً إلى أهم معالم المدينة.
. إن Blue Pacific Quality Apartments حريص على توفير الراحة للنزلاء، فلا يوفر الموظفون جهداً في تقديم أفضل الخدمات وضمان حسن الاستقبال. يقدم هذا الفندق العديد من الخدمات الكفيلة بإرضاء أكثر الضيوف تطلباً. يمكن للنزلاء الاختيار من ضمن مجموعة من الغرف المصممة بعناية لتعكس جواً من الراحة، والتي يتجاوز عددها 11. يقدم الفندق خدمات رائعة كمثل مسار جولف - ضمن 3 كم, سبا, حديقة لمساعدتك على الاسترخاء بعد نهار طويل من النشاط والتجوال في المدينة. 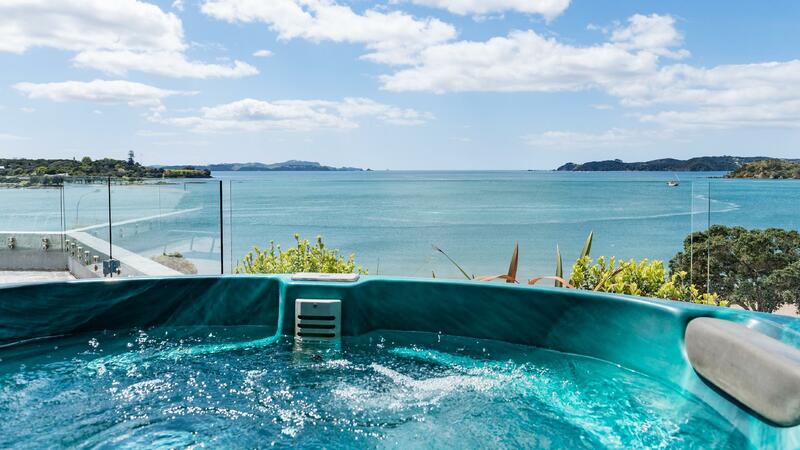 إن Blue Pacific Quality Apartments هو خيارك لخدمة الفنادق الراقية في Bay of Islands. The Apartment was well maintained and appointed, but with no airconditioning and thus was exceptionally hot NB i live in Brisbane Australia and found this Apartment oppressively hot! The duty manager was very nice and helpful, but the General Manager with no apparent name was rude and hostile and not at all accommodating. 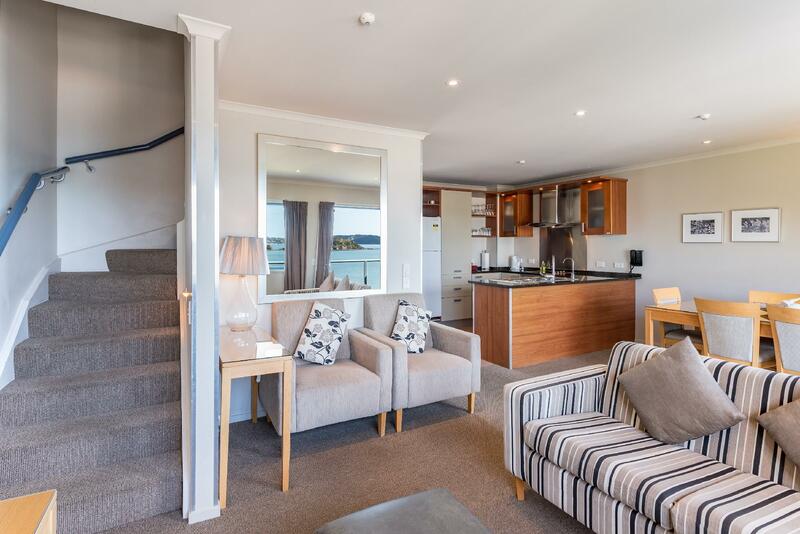 There are many accommodation choices in Paihia and overall we wouldn't return and certainly not in summer. What a find .Ideal holiday venue . Apartment loaded with extras. VERY comfy bed. Relaxed And Helpful host. Parking might be a bit tight in peak holiday periods. It wasn’t an issue for us. The place looks like an older style hotel but tastefully modernised. Lots of storage. Very clean. Good for those who need a walk in shower. Has everything you need. Nice touch was some mints & fresh milk. Informative staff with regards to the locale area. There is a steep driveway not suitable for the elderly or for those with problematic knees. The wrought iron seats on the balcony need pillows as they can be quite botthersome. 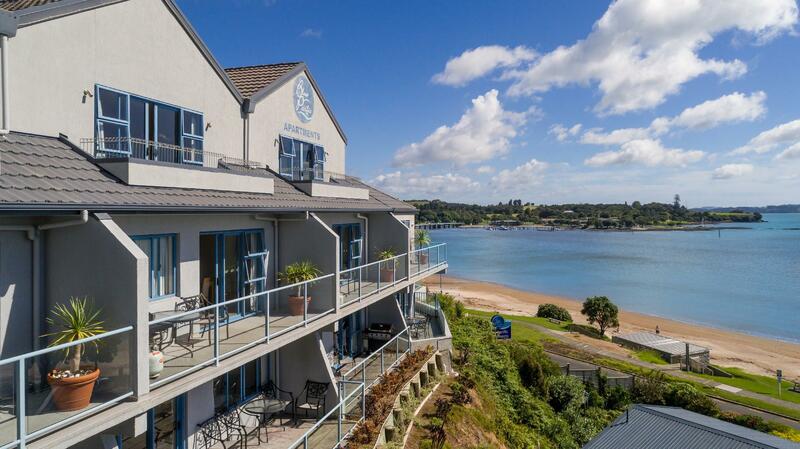 Lovely clean accommodation with comfy beds and gorgeous views, what more could you ask for? The cleaning staff are a credit to the place, smiling friendly lovely ladies. We stayed in the amazing apartment number 2. It had sun all day, we could watch the sunrise from the jacuzzi and then sunset later in the day. Can highly recommend it! Good location, good view. The room is clean. The manager is nice n helpfull. Modern comfortable apartment with full kitchen and washing machine (no dryer). Excellent views of bay. Sunny living area with balcony and BBQ. 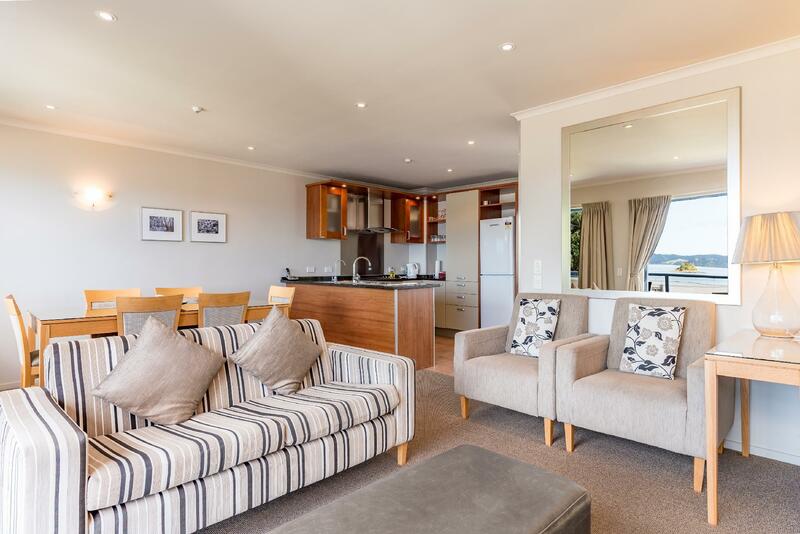 A very enjoyable stay in a beautiful apartment with great views. It is not airconditioned which could have been a problem if it had been any warmer. A slight concern was that when wet hand towel and face washers were put on bathroom floor for replacement, they were refolded and hung over bath towel for reuse. However apartment was clean and we had a very enjoyable stay. 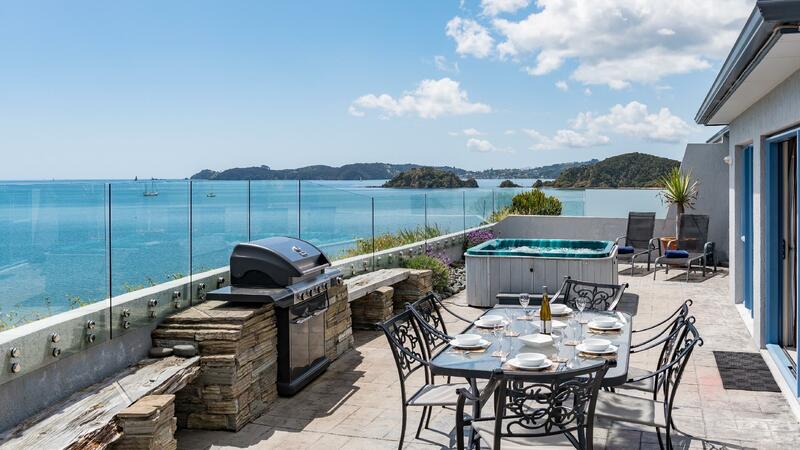 Fabulous location with beautiful ocean view. You can't go wrong with this choice. It seemed brand new and very well equipped - full kitchen, 2 bedrooms, hot tub on a balconey with a grand view of the ocean. We were within an easy walk to everything - the beach, the restaurants and shops, the harbour, the Waitangi Treaty Grounds, and the grocery store! The proprietor was helpful in booking activities for us and giving us "tips" on having a great time in the area. It was our favorite accomodation on a fabulous trip. 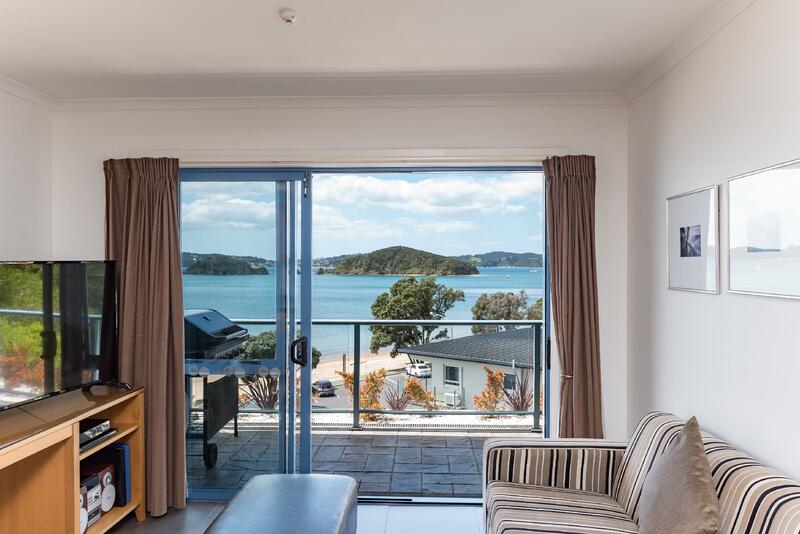 Optima vista della bay of islands dall'appartamento. Wi-Fi pessimo. La porta di ingresso dell'appartamento è in vetro e oltre a non garantire una perfetta privacy fà entrare molta luce già dalle prime ore della mattina. Non c'è box doccia ma solo una tenda percui il pavimento del bagno è sempre bagnato.... ok la lavatrice, ma l'asgiugatrice è incastrata in un armadio ed è impossibile utilizzarla senza chiedere aiuto al personale e poi comunque và utilizzata mettendola in soggiorno.